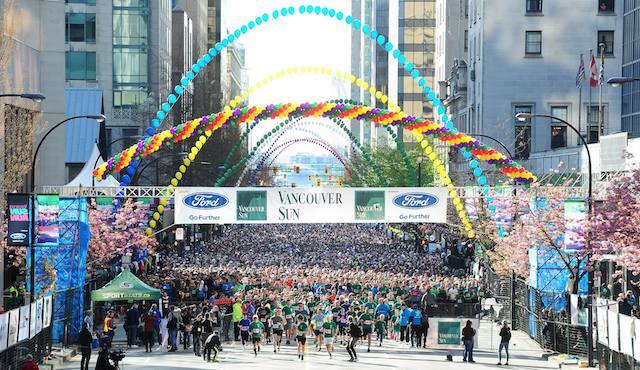 The 2019 Vancouver Sun Run presented by Ford of Canada takes place Sunday, April 14th at 9:00am in downtown Vancouver. Online registration closes tomorrow (April 10th) for Canada’s largest 10K road race, however you can register in person only, at the Vancouver Sun Run Fair at BC Place before the end of day on April 13th. The Vancouver Sun Run is Canada’s largest 10K road race and the 3rd largest timed 10K in North America. The Vancouver Sun Run is open to international elite competitors, recreational runners, joggers and walkers, wheelchair competitors, teams, schools and children. 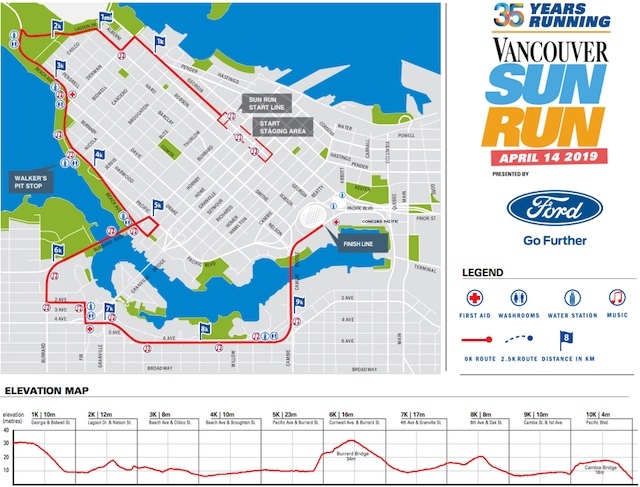 Follow the Vancouver Sun Run on Twitter and Facebook for more up-to-date information and instructions.